Is your organization trying to optimize work portfolios, balance capacity against demand, and link plans and resources to project execution? It’s not always easy to drive change with speed and confidence. Smart companies are always looking for successful project management examples to learn how other companies are achieving their project management goals. At Planview, we get it. 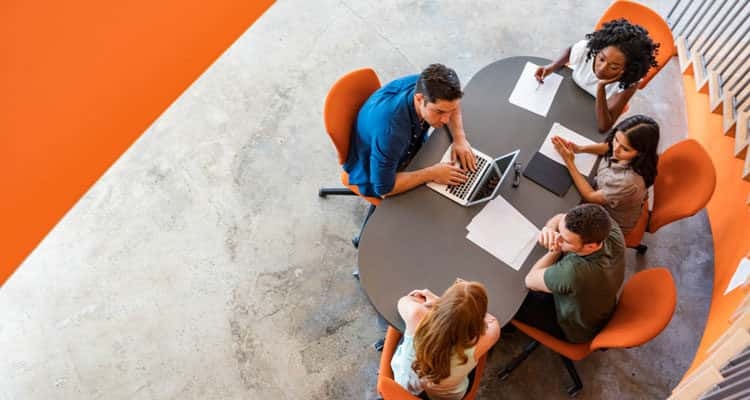 Check out these five real-world examples of companies using our work and resource management solutions to connect strategy with execution. These companies have made great strides in how they tackle project management to balance their resources and deliver value. American Airlines merger with US Airways created an overlap in technology and programs. They knew spreadsheets were insufficient for managing resources and complex projects. To gain visibility into the broader divisional and global priorities, they began using portfolio and resource management for time entry, resource management, and capacity planning. As a result, the airline went from capitalizing 10 percent of their IT labor to 20 percent, which equated to a multi-million-dollar net positive impact on their balance sheet. Now, they have access to better, more reliable data to make critical decisions on projects and resources. The Royal Bank of Scotland (RBS) needed to establish consistent, reliable data to inform financial and resource decisions. 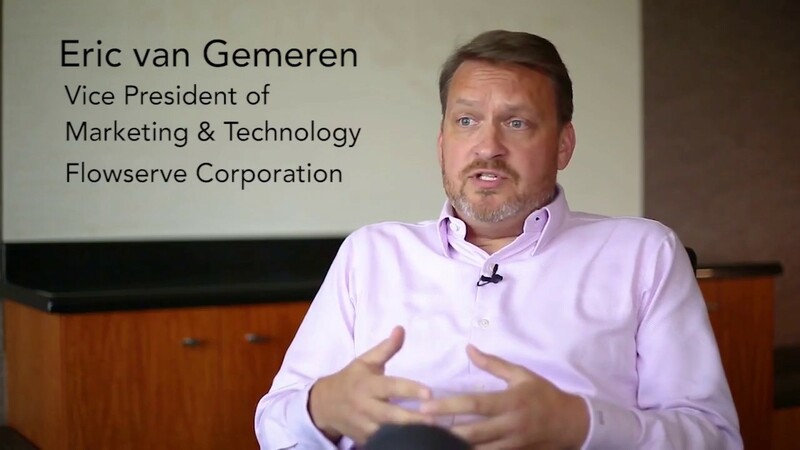 They chose portfolio a nd resource management to drive consistency as they decommissioned 35 legacy systems, 50+ user-developed tools, and hundreds of spreadsheets. With data in different formats and hundreds of projects managed by different systems, they wanted to get a grip on their data to see their total portfolio more clearly. They could deliver on their business case and achieve ROI within 12 months. Along the way, they’ve improved transparency and reduced costs in each business unit. Cengage Learning was unable to forecast capacity effectively. Managing projects and resources with spreadsheets was creating complexity for the medical and education publishing company. They wanted to integrate the planning and execution stages of product delivery. They chose portfolio and resource management investment and capacity planning to show executives all the great work they could tackle if they just had the sufficient resources. Now, they can prioritize and push projects down the timeline and more easily identify which groups need new hires. 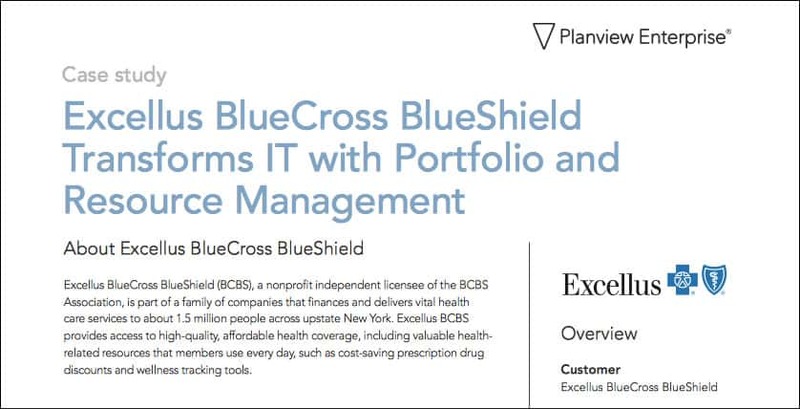 Excellus BlueCross BlueShield had limited visibility into resource capacity as many decisions were based on inaccurate data. They chose portfolio and resource management to improve data quality and drive better project choice. As a result, their timesheet submission rate improved to 99 percent. Now, senior leadership has greater visibility into portfolios to ensure compliance. Data-driven decisions and labor forecast can be based on actuals versus outdated resource structures. With the portfolio properly aligned with resource capacity, the health insurer is more capable of delivering work on time. Flowserve, a large manufacturer with 19,000 employees, wanted to drive new product growth and gain insights to improve their decision making. They were struggling to optimize labor productivity, track projects, and control costs. With portfolio and resource management, Flowserve has become nimble and delivers products to market more quickly. Using an automated gate review process, they are now better able to manage work in the pipeline and speed time to market, which mitigates launch delays. This allows them to control costs and measure success more effectively. Check out more successful project management examples and how Planview is helping organizations make the most out of their valuable resources visit our vibrant customer community section at Planview.com. You can also check out the portfolio and resource management demo. Previous Planview Blog post, What Are Project Resources?